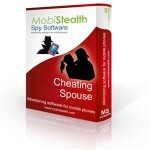 Although spy apps and services were designed and developed to help parents and employers to protect their kids and businesses but many people know how to use these cell apps to catch cheating spouse red handed after finding some irrefutable cheater signs. Modern spy services have powerful features like text message and call monitoring, internet usage, free IM and social media spying, GPS tracking as well as some other features. Yet it is difficult to tell one name as the best online phone tracker to catch a cheating partner – wifes/husbands, girlfriends/boyfriends as different softwares have different features and ways, compatible devices like Android and IPhone and price. Let’s talk about some of the best software briefly. FlexiSpy is a great online tracker and service that is packed with all the basic and advanced features you need to spy on your cheating partner but unfortunately this service is not available for desktop computers but only compatible with iOS, Android,Symbian and BlackBerry devices. It has call tracing feature, GPS tracing, stealth mode, Viber and BBM spy as well as message interception. FlexiSpy is available for $69, $99 and $149 for 1, 3 and 12 months subscription respectively. Other than the lack of desktop computer and laptop support, FlexiSpy is a useful app to find a cheating spouse. MobiStealth has tons of features and unlike FlexiSpy, it also support desktop computers and laptops aside from cell phones. MobiStealth has email spy feature, text message checking, call tracking, internet usage monitoring, knowing the location, WhatsApp spyware as well as BBM monitoring. It is available on desktop platforms and mobile platforms including iOS, Android,Symbian and BlackBerry but it is not available on non-jailbroken IPhones. As a majority of married men and women does not jailbreak their wifes/husbands boyfriends/girlfriends (or even doesn’t know how to do it) iOSdevices, MobiStealth has a huge disadvantage as compared to other similar services if you want to check your spouse’s phone without letting her/him know. MobiStealth does not offer trial subscription but users can get it the basic $20 package that is available for 2 weeks. 3 and 6 months packages are available for $80 and $120 respectively. 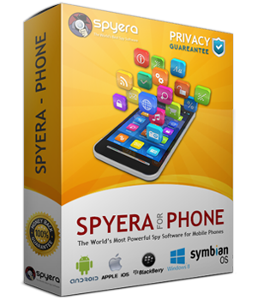 As being told, Spyera is compatible with desktop computers, iOS devices including iPhone and iPad, Android devices including smartphones and tablets, Symbian, BlackBerry and Windows Phone devices. Spyera is loaded with amazing and powerful features that you would love to see in a app to catch your unfaithful boyfriend or gf. It has call spy option, message, VoIP and IM monitoring, social media and gallery tracker. Spyera is well known because of its support for different IM and free social media apps including Facebook Messenger, WhatsApp, Hangouts, BBM, iMessage and Snapchat, which is used by your partner and can be identified as a signs of an cheater affair. You can get it for $50, $60 and $70 for 3, 6, and 12 months respectively on desktop computers and the cell phone version starts from $150. 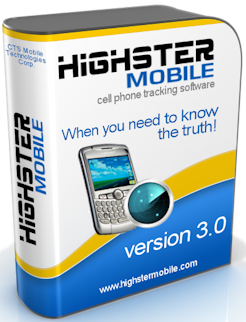 Highster Mobile is available for iOS and Android phones only that is a disadvantage as many people prefer apps in a way that also support desktop computers. This phone tracker has call, messages, email monitoring, GPS, multimedia tracking and some other powerful features to catch a cheating wife/husband. Unlike most of the other services, Highster Mobile is available via one-time fee of $70 that is an advantage it has over other apps. Yes, the app should be installed on the device you want to monitor. Do I have to installed the apps in my husband phone? Meaning do I need to have his cell with me to installed the spy app. Yes. You need an access to the target device. Hi am James and I am interested with the this best tracker because it may give out some people who are interested in family and friends affairs. Hi, Tshering. This is article about best phone tracker apps. So, if you need to install it then you can write to support team (Highster Mobile or Spyera). Tshering… I thought we had an understanding.